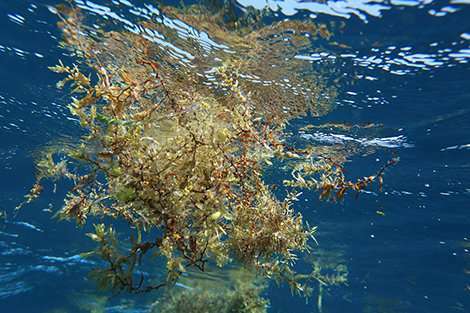 A research team including the CNRS and l'Université des Antilles has just launched an 18-month interdisciplinary research project, largely financed by Ademe, on the brown seaweed known as Sargassum that has periodically invaded the coasts of the West Indies since 2011. The central objective is to find a way to repurpose this seaweed, which is a cause of public health problems in the Caribbean region. The project will be presented on October 3 during the 15th Regional Cooperation Conference in the Antilles-French Guiana. The ECO3SAR research project steered by the Borea laboratory (CNRS/MNHN/SU/IRD/Université Caen Normandie/Université des Antilles), in collaboration with researchers from l'Université des Antilles and in partnership with the Dr.ôme departmental analysis laboratory, aims to explore avenues for the repurposing of Sargassum, especially in the form of compost. The project, which takes its place within the larger need to increase scientific knowledge of these seaweeds, includes a company specializing in the production of compost, thereby ensuring that this knowledge is transferred toward potential applications. 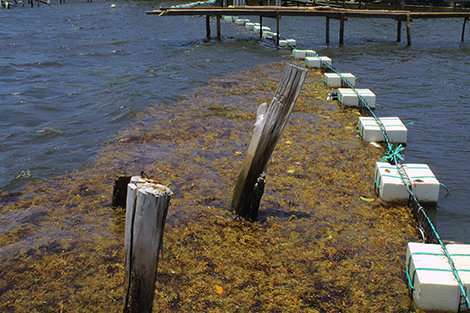 The researchers will conduct chemical analyses to detect the presence of pollutants, as Sargassum is known for easily accumulating heavy metals. Earlier studies have in fact shown that it can be contaminated by arsenic and chlordecone, thereby making it difficult to repurpose. In order to proceed with their analyses, scientists have launched missions to collect seaweed samples, with the first campaign taking place last July, and the following one planned for October. In all, approximately 45 sites will be sampled in Martinique and Guadeloupe. 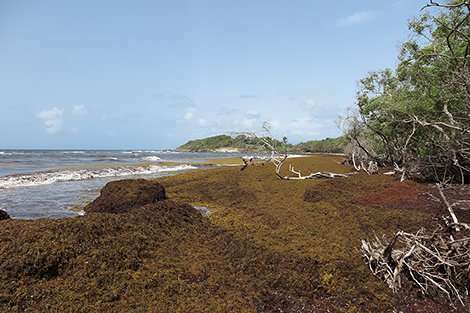 Scientists are also taking an interest in the degradation process of Sargassum by looking at which microorganisms are associated with them, and how they evolve during the degradation of the seaweed. The final section of the study will focus on networks for Sargassum repurposing projects, along with their social acceptance by the local population.